Germanwings second black box found; Lubitz possibly researched door security. French personnel preparing to travel to the crash site. 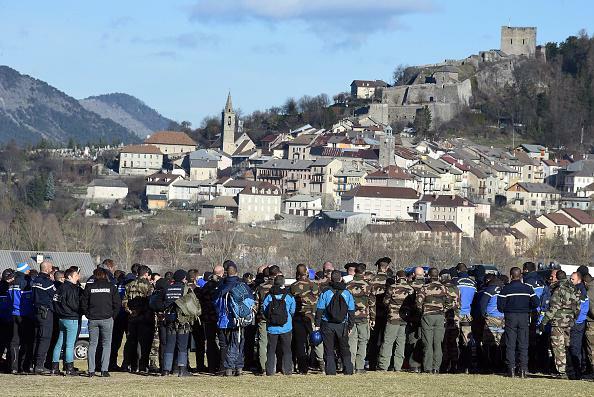 Investigators in Marseilles say they have recovered the crashed plane’s flight data recorder. A tablet device was found at co-pilot Andreas Lubitz’s apartment that was used to search for information about cockpit security. After the crash, responding personnel were quickly able to find the downed plane’s cockpit voice recorder and, reportedly, the outside casing of the flight data recorder. But the actual contents of the flight data recorder had not yet been located. Duesseldorf prosecutors said Thursday investigators found a tablet computer at Andreas Lubitz’s apartment. They said they were able to reconstruct searches from March 16 to March 23. … Prosecutors’ spokesman Ralf Herrenbrueck said in a statement that search terms included medical treatment and suicide methods. On at least one day, the co-pilot looked at search terms involving cockpit doors and their security methods. The device’s browser memory, Herrenbrueck said, had not been erased.